Each year families are asked to make a voluntary donation with the goal of fully funding classroom supplies for all students at Alisal. The request is usually at Back to School night, however due to multiple requests to simplify things, we moved this request to Future Fund. 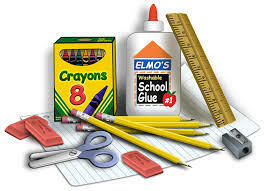 For TK-2nd, the cost of supplies per student is $100. Historically, the cost of supplies for younger grade levels is slightly higher than older grades.